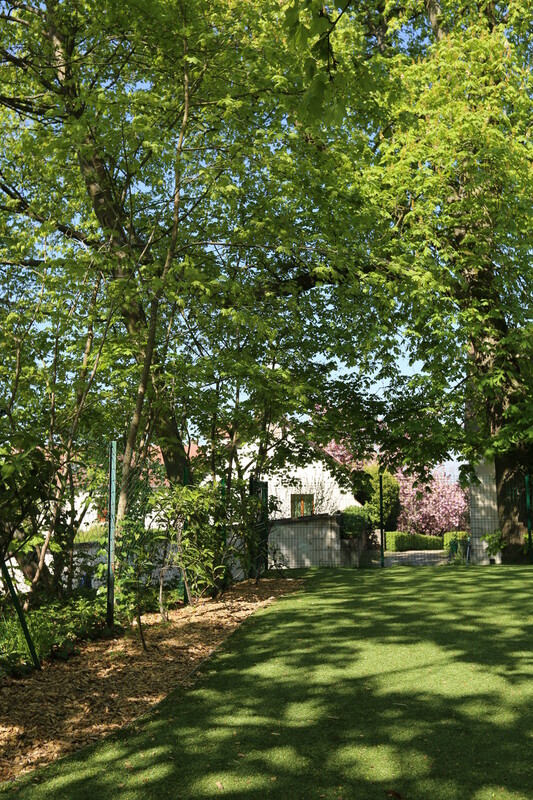 Our children's view as they play is of the beautiful 17th century chateau of St Nom la Bretèche which is currently owned by a private family. Photo of the side if the school from the all astro-turf garden area looking towards the 3-6 class entrance. Les locaux se situent à Saint Nom la Bretèche et sont divisés en 3 espaces et une cour de récréation. L'école dispose d'une cantine toutefois les enfants peuvent amener leur repas dans un thermos s'ils préfèrent. These classes are facilitated by a qualified teaching team. 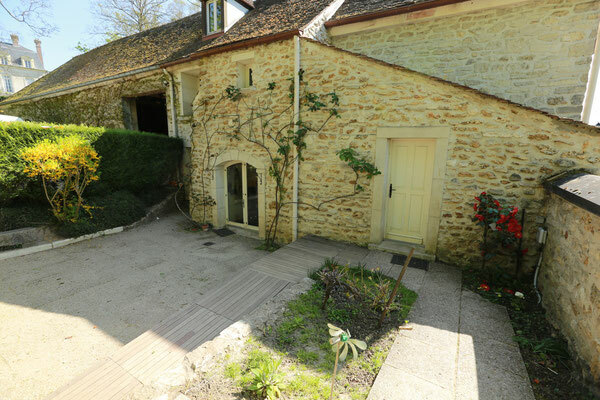 The school is located in Saint-Nom-La-Bretèche in a pretty, little building behind the village chateau. The school area is divided into 3 work spaces and one leafy school yard. The school organises hot, organic 3 course lunches to be delivered by our organic caterer for families that prefer this option. As an alternative, children may bring their own lunchbox or a pre-heated lunch in a thermos. Photo: Front of school, back of school with our beautiful children's garden and playground area.